Nanostructure noble metals have unusual physicochemical properties compared to their bulk parentmaterials. In the recent years a large number of physical, chemical and biological techniques were applied to the characterization and the development of metal nanoparticles using Strychnos potatorum seeds. 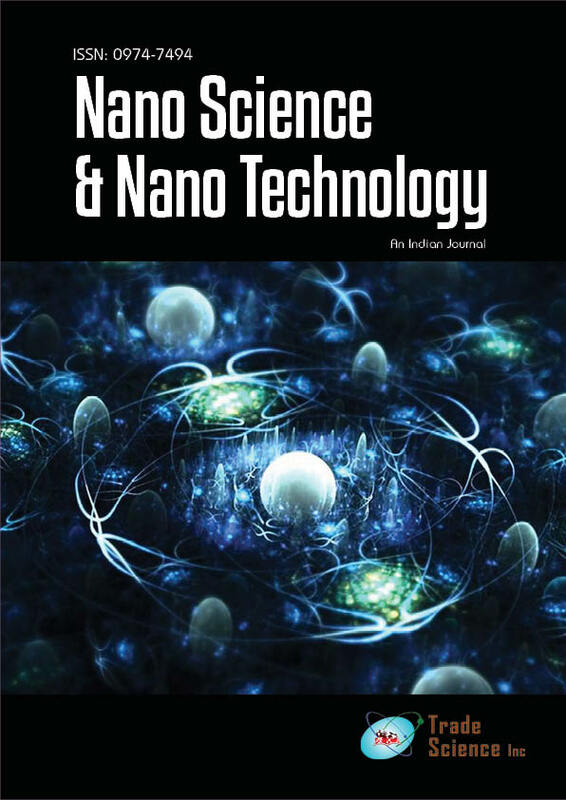 In the present study, we have prepared various concentrations of silver nanoparticles usingModified PrecipitationMethod (MPM).Analytical techniques such as Fourier TransformInfrared (FT-IR) Spectroscopy, Fourier TransformRaman (FT-RAMAN) Spectroscopy, UVVisible spectroscopy, Scanning ElectronicMicroscopy, EnergyDispersive X-ray (EDX) spectral analysis and Photoluminescence methods were used to characterize the synthesized nanoparticles. The vibrational assignments, intensities and wave number (cmÂ1) of the dominant peaks were obtained using FT-IR and FT-RAMAN spectrum. Major assignments of the bands were made with respect to the components present in the samples. The microphotograph obtained fromscanning electronmicroscopy (SEM) and the Elementary particles were analyzed by EDX spectrum. The UV/Vis spectra show that an absorption peak, occurring due to Surface Plasmon Resonance (SPR). PL (Photoluminescence) shows absorption and optical properties of nanoparticles.